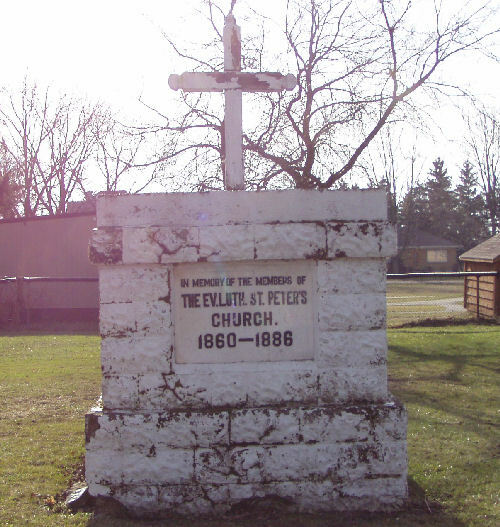 This monument near the public school in Zurich, Ontario marks the spot of the original cemetery of St. Peter's Evangelical Lutheran Church. In the early 1920s, the headstones at this site were gathered and placed inside this cairn. Eventually the monument was sealed in an effort to deter vandals. No map of plot sites is known to exist. The church does have a record of burials which was translated by a kind visitor from Germany in recent years. The translated record has been reproduced below in its entirety.